Is there a new water crisis in Michigan? Environmental Express offers a full line of PFAS Analysis supplies. (CNN) - On Sunday, Michigan's lieutenant governor called a state of emergency for Kalamazoo County due to water contaminated with chemicals at more 20 times the threshold set by the US Environmental Protection Agency. It's yet another site on a growing list of those around the state contaminated with the chemicals PFAS or PFOA. 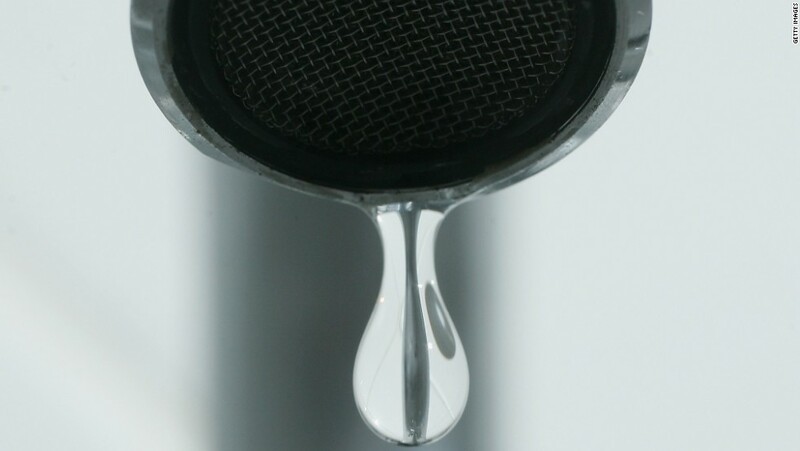 Last week, test results from Michigan Department of Environmental Quality found water in municipal water system in the city of Parchment, which is located in Kalamazoo County, had levels of PFAS as high as 1,410 parts per trillion. The EPA's recommended limit is 70 parts per trillion. The industrial chemicals, known as polyfluoroalkyl and perfluoroalkyl substances or PFASs, have been linked to a variety of adverse health effects, including liver damage, thyroid disease, decreased fertility, high cholesterol, obesity, hormone suppression and cancer. On Friday, county officials warned the approximately 3,100 residents of Parchment and nearby Cooper Township that are served by the municipal water system to stop using the water for drinking, cooking, or to mix baby formula. Local officials said the water can be used for showering, laundry and flushing toilets. 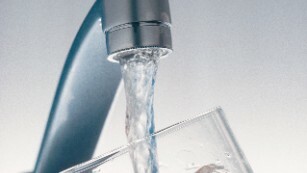 Parchment's water supply will be drained and continue to be flushed "until test results come back that shows the PFAS levels are below the health advisory level," according to a news release from the Kalamazoo County government. The state declaration of emergency allows for the Michigan State Police Emergency Management and Homeland Security Division to coordinate state efforts with local and county officials. "This declaration will allow the state to supply additional resources to help with response efforts and ensure the health and safety of residents in Parchment and Cooper Township," Michigan Lt. Gov. Brian Calley said in a statement. Kalamazoo County is one of 34 PFAS-contaminated sites identified since statewide testing of water systems began in March, according to state officials. 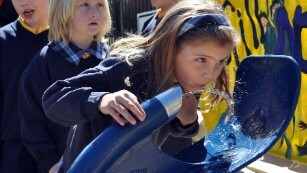 Other sites include the municipal water system of Ann Arbor, as well as the Battle Creek area. PFAS belongs to a family of chemicals that also include PFOA and GenX. Introduced more than 60 years ago, PFASs are a category of manmade chemicals that degrade very slowly, if at all, in the environment. The chemicals have been used for decades on military bases and in industrial areas in the manufacturing of thousands of consumer items, such as food packaging materials, fabrics, nonstick cooking pans and firefighting foams. While PFOA and PFAS are no longer manufactured in the US, they continue to be found in the environment. "I think that people should be concerned about the amount of PFOA and PFOS that is in our environment," Susan M. Pinney, a professor in the Department of Environmental Health at the University of Cincinnati, wrote in an email. "These are chemicals with long half-lives," meaning they persist in the environment as well as the body. "Exposure in utero may have the greatest effect on developing children ... and effects may last into adulthood," she said, adding that the science is still early. Pinney said there are immediate things that can be done, including "granular activated charcoal filtration systems which will remove much (although not all) of the PFOA." More research and information on the potential health effects of these chemicals, as well as improved detection systems, are needed, she said. In June, the the Agency for Toxic Substances and Disease Registry, a division of the US Department of Health and Human Services, released a draft report that recommended that PFAS and the related family of chemicals, be much lower. The 800-plus page report determined that current EPA suggested limits are are up to 10 times higher than they should be. The report is open to public comment until August 20. CNN's Michael Nedelman, Susan Scutti and Kevin Flower contributed to this report.